There are approximately 8.7 million Deaf and "Hard of Hearing" in the Russian Federation and Central Asia countries according to 2000 census data. 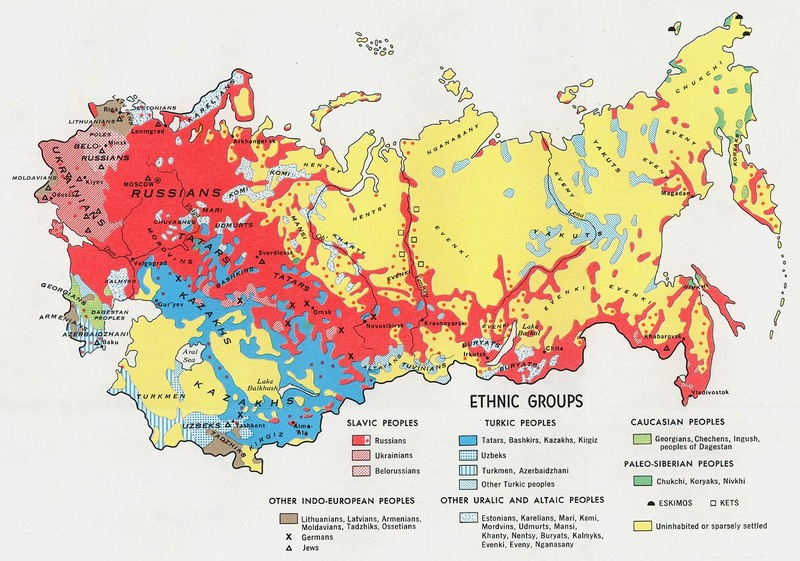 There are no recent census statistics available for Russia's approximately sixty-five different administrative regions plus twenty-one separate republics. The former Soviet government established a limited number of schools specifically for the Deaf. At these schools, the Deaf meet and mix with other Deaf students from a broad range of other ethnic groups. As a result, the Deaf see themselves as Deaf first and then secondly as their particular ethnic group. Russian Sign language is said to be standardized everywhere in Russia thanks to the education policies of the former Soviet government. There does not seem to be a distinction between Russian Sign Language versus Signed Russian (where words are signed in the Russian word order and have the same meaning as the Russian words). There is some limited evidence pointing towards a growth of non-Russian sign languages as other ethnic groups are developing a sense of pride in their history and language. The Soviet government also established a policy directed toward the formation of factories and other places of employment. Those places were largely focused on providing a working environment for Deaf employees, thus providing them with a more homogeneous working environment adapted to their needs. Currently there are many attempts to communicate the Gospel to the Deaf of Russia. There is some question regarding the overall effectiveness of this approach, however, due to the differences between printed Russian and Russian sign language. At present, there are many hearing churches that provide sign language interpretation during their services; however, there are relatively few churches specifically for the Deaf themselves. * Scripture Prayers for the Deaf in Russia.